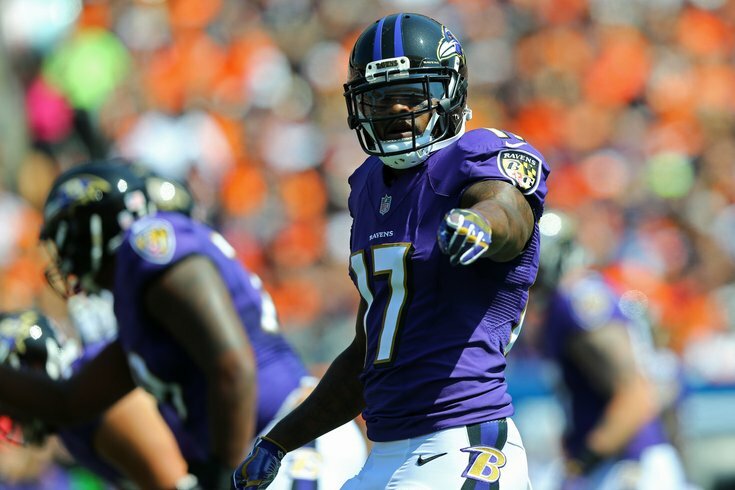 Mike Wallace should be an upgrade on the field over Torrey Smith. On Thursday, the Philadelphia Eagles conducted their final OTA session of the spring. Next week, they'll hold a three-day minicamp, before breaking for the summer, when we won't see them again on the practice field until the start of training camp. As always, we have notes. As we've noted in pretty much every observation post, Wentz appears poised to start Week 1. • One of the players of interest to me this spring and summer will be Nate Sudfeld, who has drawn praise from the coaching staff, the players, and everyone who saw him practice every day during the season last year. Throughout OTAs, Sudfeld has been up and down, but you can see why the team likes him. In 7-on-7's today, he hit Dallas Goedert down the seam with a pass that had accuracy and some steam on it, then he ran down the field and had an elaborate celebration with Goedert. Back in early March we cut up film of all of Sudfeld's passes against the Dallas Cowboys Week 17. I thought he displayed good accuracy and arm strength, as well as better mobility than I was expecting. The trick for Sudfeld will be his continued mental growth and consistency, but the tools are there. • Mike Wallace had a nice leaping grab today in traffic. This isn't exactly high level analysis here, but he's a guy who "looks the part." Again, as we noted back in March, a whole lot of wide receivers changed teams this offseason, and many of them got huge paydays. Of the receivers changing teams (or staying put, but landing new deals), Wallace was the second-most productive of the group over the last two seasons. Wallace is cheapest player on that above list, which is remarkable. • A receiver who did some nice things today was Rashard Davis. He had a nice hands catch away from his body on a sharply thrown ball, and he juked the crap out of a linebacker who fell to the ground (didn't catch who it was) on a run after the catch. Davis stuck on the practice squad for a big chunk of the season last year. I think the Eagles are going to give him a legitimate chance to earn a roster spot because of his added value on special teams. • Undrafted defensive end Joe Ostman found his way into the backfield for a pair of "sacks" today, though I'd probably classify them as coverage sacks. Ostman was a highly productive pass rusher in his final season at Central Michigan, where he had 60 tackles (19.5 TFL), 14 sacks, and 3 forced fumbles. His highlight reel is fun to watch, and he looks to dish out as much punishment as possible on the quarterback whenever he gets a chance. When Ostman signed with the Eagles as an undrafted free agent, I thought that was a curious decision. Ostman was a draftable player, and the Birds are loaded along the defensive line. However, the Eagles have three defensive ends who are now over the age of 30 in Chris Long, Michael Bennett, and Brandon Graham. Ostman is a severe longshot to land on the Eagles' roster in 2018, but he could be a player to watch for the practice squad this year, with a better chance of making the team in 2019.